The 2016 Adelaide Fringe offers more than 1100 events featuring some 5000 artists. So how do you choose what to see? Here are some InDaily recommendations to help. It’s not an exhaustive list, but rather aims to give a taste of the diversity and highlights on offer across a range of genres and just a few of the more than 400 Fringe venue spaces across the state. Barbu Electro Trad Cabaret: Taking inspiration from the Montreal fairgrounds of more than a century ago, this cheeky, slightly bonkers-looking Canadian show is described as being like a “circus rave” – with lots of big bearded men in undies. Read more here. Royal Croquet Club, February 12 – March 14. Velvet: Take a trip back to Boogie Wonderland with the delightful Marcia Hines, a troupe of glittering (literally) singers, dancers and acrobats, and a boogie-licious disco soundtrack. Velvet was the hit of last year’s Fringe and possibly the most fun we’ve ever had at a Garden show. Garden of Unearthly Delights, February 12 – March 13. The Pianist: “A brilliant hour of choreographed hilarity,” is how The Sydney Morning Herald described this one-man show created by New Zealander Thomas Monckton and Circo Aereo of Finland. It’s music, circus and clowning all rolled into one crazy package. Royal Croquet Club, February 13 – March 5. Echoes: This two-hander play presents the parallel stories of a pair of British women born 175 years apart: a modern-day Jihadi bride and a Victorian colonialist wife. It’s gripping and confronting, with a stellar script by lead Spitting Image writer Henry Naylor and brilliant performances. Holden Street Theatres, February 10 – March 13. The Bookbinder: This story of “mystery, magic and mayhem” is presented by Kiwi company Trick of the Light Theatre and won both the Best Theatre and Best in the Fringe awards at the 2014 New Zealand Fringe. It’s garnered impressive reviews, and the trailer alone is enough to intrigue. Bakehouse Theatre, February 12-20. Labels: British performer Joe Sellman-Leava’s one-man theatre show has received a string of four and five-star reviews and is highly relevant given current debates in Australia and elsewhere about immigration. Laced with humour and personal stories, it is a searing exploration of racism and political rhetoric which encourages audiences reflect on the power of labels and words. Holden Street Theatres, February 11 – March 13. Untapped: InDaily’s resident dance aficionado Jenny Toune tips some top tap from this show, presented by RAW Dance. It promises a mix of urban tap, street-style beats, Flamenco-infected tap, African tribal rhythms and athletic feats. Garden of Unearthly Delights, February 25 – March 13. Judith Lucy – Ask No Questions of the Moth: This is comedian Judith Lucy’s first new show in three years and on the strength of previous performances, you should be guaranteed an entertaining night out. It is said to have a theme of impermanence, and was created after what Lucy has describes as a year from hell. Her Majesty’s Theatre, March 12-13. Exile – Songs & Tales of Irish Australia: A top-notch line-up of Australian and Irish singers including Paul Kelly, Leah Flanagan and Shane Howard are coming together for this one-night-only show celebrating Irish convicts, rebels, refugees, scholars, politicians, poets and musicians. Adelaide Festival Centre, February 21. California Crooners Club with Hugh Sheridan: “Think Sia meets Sinatra” is how the Fringe has plugged this show. It sees former Adelaide singer and actor Sheridan return home to debut his new music group which blends jazz, crooning and modern rap with contemporary pop songs. State Library’s Mortlock Chamber, February 12-18; Gluttony, March 8-14. HART: Stories of trauma, separation and resilience are shared in this verbatim-theatre work based on the testimonials of members of Australia’s Stolen Generation. It had a sold-out season at last year’s Melbourne Fringe and won the Best Emerging Indigenous Artist award for performer Ian Michael. Tandanya, March 2-13; Desert Fringe in Port Augusta, March 5. Adam Page – Chairman of the Beard: Adelaide composer and multi-instrumentalist Page creates “spontaneous symphonies” on stage by feeding his vocals and instruments – ranging from sax, bass and keyboard to ukulele and didgeridoo – through loop pedals. This is his first Fringe Festival performance since 2011, when he won the Best Music award. Royal Croquet Club, February 24 – March 6. The Digital Playground: This free space offers Fringe-goers the chance to experience a range of virtual-reality works using Oculus Rift headsets, participate in workshops to create their own, and experience a six-sided story on “The Cube” from Google’s Creative Lab. Read more here. State Library, February 12 – March 13. Frank Woodley – Noodlenut: After publishing a series of children’s books, comedian Frank Woodley is now presenting his first stand-up show for kids. He reckons he’s in his natural habitat, with the performance including slapstick, storytelling and a dash of magic. Garden of Unearthly Delights, February 13 – February 21. 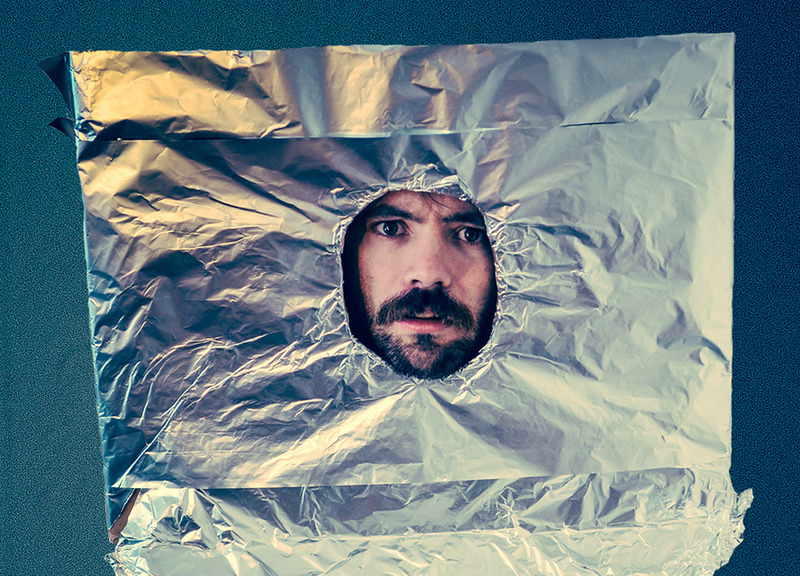 Stuart Bowden – She Was Probably Not a Robot: This recommendation comes from CityMag editor Farrin Foster: “It’s not every day that you get to watch a former Bell Shakespeare actor perform with an Alfoil-covered cardboard box on their head. 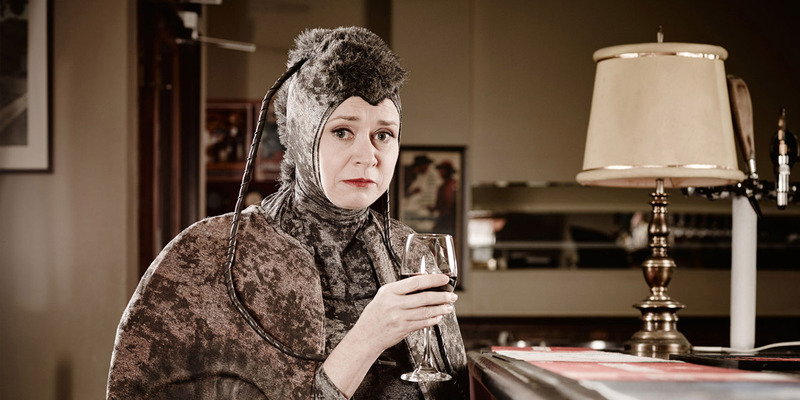 It’s even rarer that such a performance will make you laugh uproariously and cry unabashedly.” Garden of Unearthly Delights, February 29 – March 13. Massaoke: This could be a wild ’n’ crazy fun night out or ear-piercing torture. We make no promises, but for around $25, what have you got to lose … except your dignity. A live band will play indie, rock and pop songs, while the crowd sings along. Garden of Unearthly Delights, February 12 – March 13. Hammocktime: By now, you’ll be exhausted – so this is the place to go for time out from the Fringe frenzy. 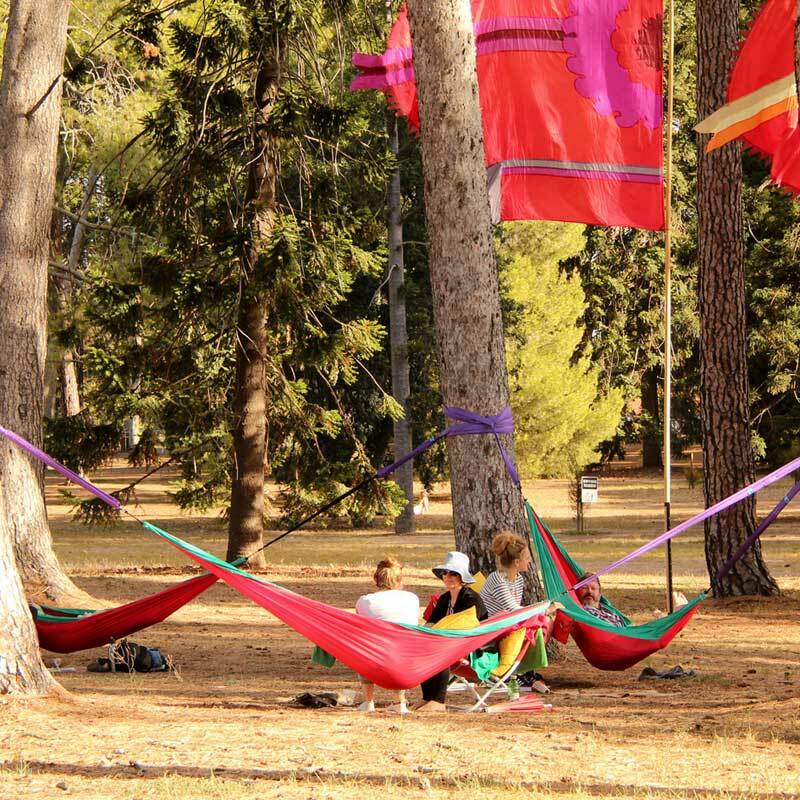 You can buy a half-hour session in a hammock from 5pm-8.30pm every Wednesday to Sunday during the festival, with special late-night longer sessions – complete with glass of fizz – on certain nights. Gluttony, February 12 – March 13. See more Adelaide Fringe stories and previews here, and remember to check back regularly for our latest reviews. The full Adelaide Fringe program can be viewed here and a venue map here.